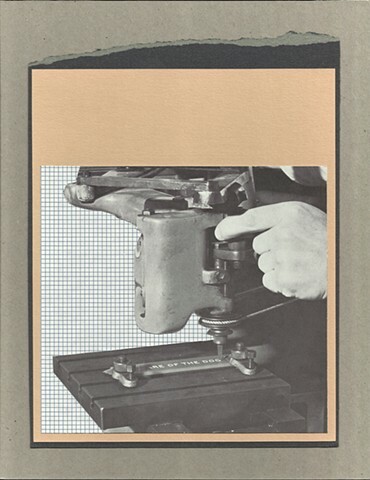 This collage's focal point is man-at work, taken from an old book. The collage is composed of various papers. It measures 8.5" x 11" and is mounted on cardboard.